10 closed parking places with video surveillance. Gazebo fit for up to 22 people, with bake-oven and grill. 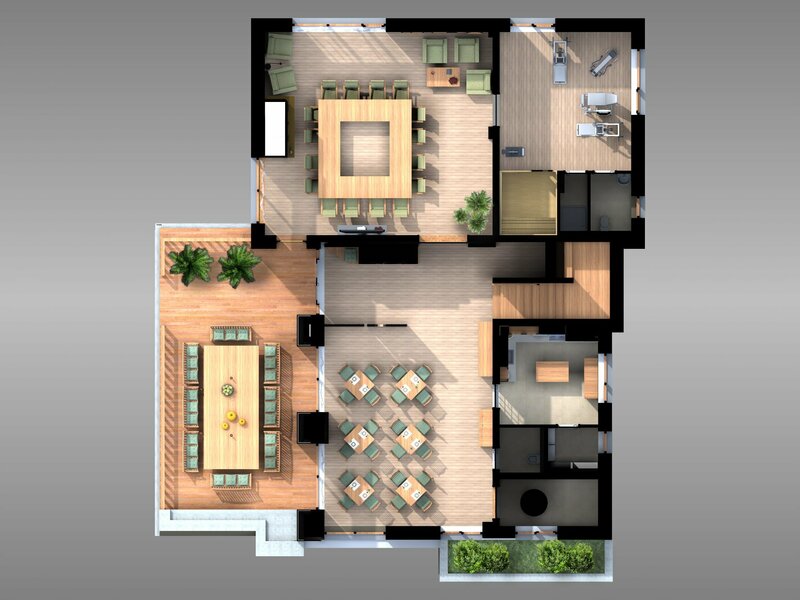 Fully furnished ground-floor terrace with 22 seats. Golf course & driving range. Fully equipped kitchen (electric oven, electric cooking hob, large capacity refrigerator, coffee machine, dishwasher, microwave, kitchen robot, juicer, dishes). Airy dining room that can fit up to 30 guests. Multifunctional living room with fireplace, modern audio-video system (projector, remote control motorized projection screen, Smart TV curved 138 cm, amplifier and 5.1 surround system). Gym and a 4-person dry-sauna, with separate bathroom and shower. 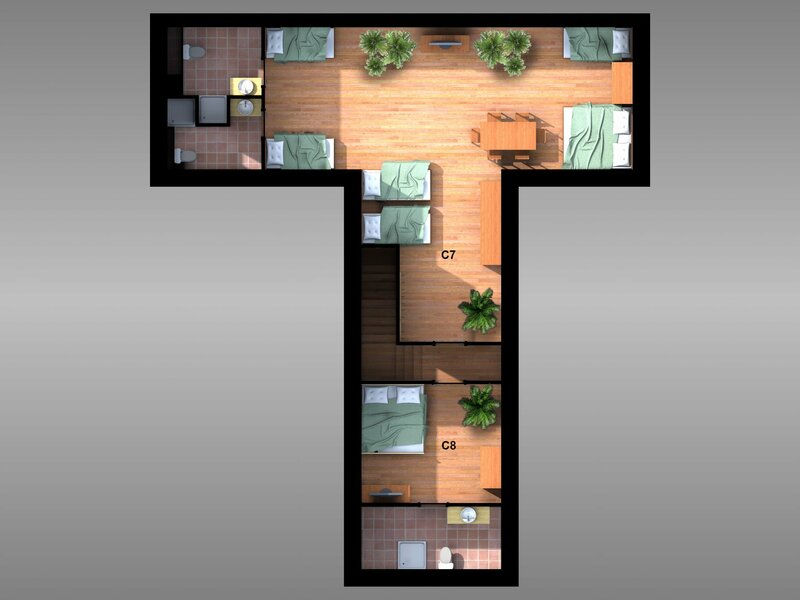 7 spotless rooms and 1 apartment (with a total capacity of 24 people) offering maximum comfort, with separate bathrooms and Smart TV with internet connection. 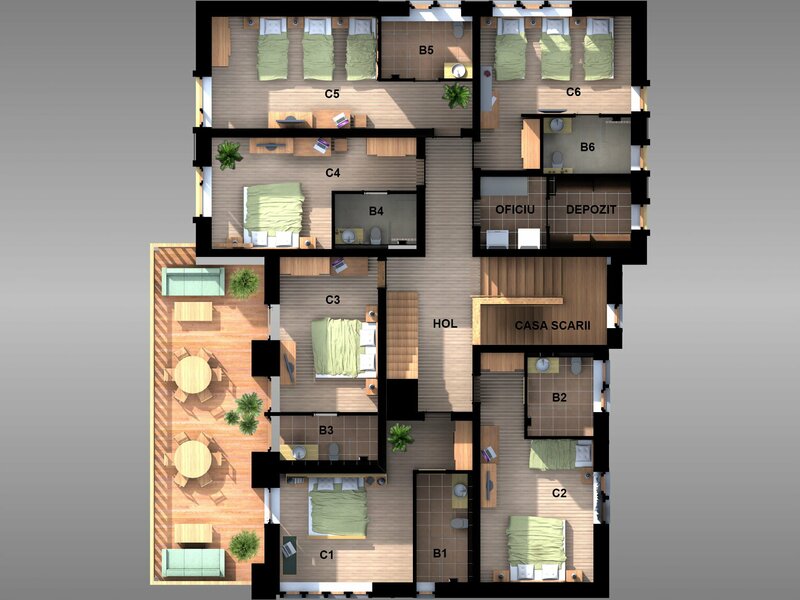 Total surface area 571 m2 (ground floor + first floor + second mansard floor). The building’s 35 cm thick brick wall is insulated with a 20-cm-thick high-density mineral wool panel. Additionally, the façade of the ground floor and partially of the first floor is covered with two types of stone and wood. Glass surfaces with 3 layers of glass provide a high insulating value. Video surveillance with 6 HD digital cameras that record everything around. Smoke detector and fire alarm system. Anti-theft and alarm system, connected to the nearest security company. Under floor heating and cooling system. The Swedish Thermia (Secpral) system is working with a water-to-water horizontal heat pump, which is the most professional system in terms of energy efficiency and comfort. Exclusively using LED lighting technology indoors and outdoors. The continuity of water supply is ensured by an aditional 10 m3 reservoir. The continuity of power supply is provided by a private medium-voltage power transformer. The broadband data usage is provided with optical fiber with the 50MB /s speed guaranteed by service provider. High-speed wireless internet with four access points (three indoor points and one outdoor access point – in the gazebo). Wastewater treatment is done using a private automatic treatment plant.